With Mother's Day just around the corner it's a time for making all things pretty and elegant. The first thing that comes to mind for this occasion is roses. The rose has been used as a symbol in most societies throughout human history. And it's little wonder. It's a beautiful, and varied, flower. Qualities that make them a lovely way to say thanks this Mother's Day. For the cupcakes, I opted for something with a bit of a different flavour hit than we’ve been having lately. We've had lots of chocolate and other sweets and I for one am completely chocolated out. So instead I went for a mixed spice batter. Every colour of rose has it's own meaning. We're most familiar with the red rose, that represents love and passion. For Mother’s Day I went down a slightly different path. I chose pink for it's meaning of thanks and appreciation, and yellow for the joy, friendship and gladness that it represents. I'm much more familiar with making cartoonish roses and rarely delve into attempting realism. I don't have the veiners and such required to pull it off, but forming the petals was good practise. For the buttercream I went with an orange and cinnamon mixture. 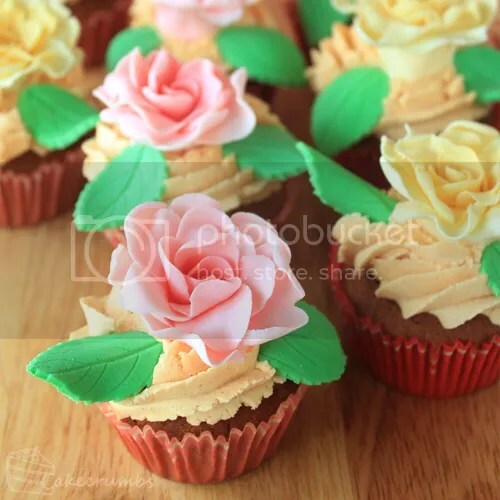 These cupcakes are delicious, and have a gorgeous texture to boot. The outside is crisp and crunchy while the centres remain light, fluffy and moist. 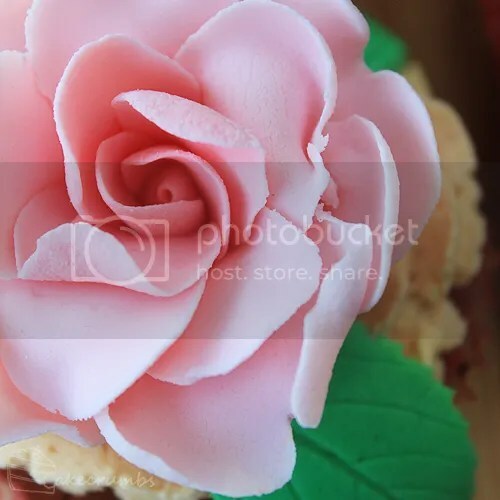 If you'd like to make rose cupcakes but are intimated by making your own, a lot of cake decorating stores sell sugar roses already formed. It can be hard to find wireless ones, though, so be sure to let your recipients know whether or not the can eat the rose. Here's how you can make your own batch of these spicy cupcakes. 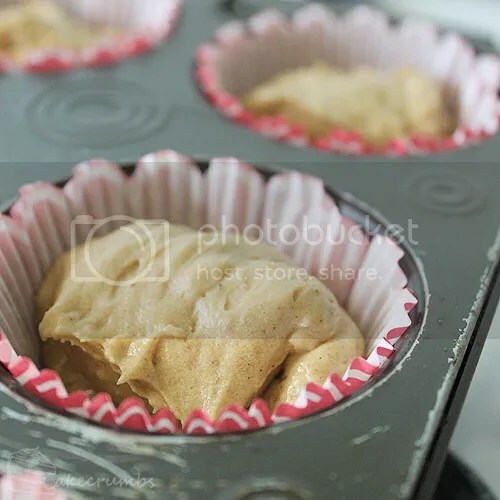 Line a 12-hole standard cupcake pan with paper cases. Preheat oven to 180°C (160°C fan-forced). Sift dry ingredients into a bowl; add everything else and beat until mixture is smooth, well combined and pale in colour. Divide mixture among cases and bake for 25 minutes. Cool inside tins for 10 minutes, then turn onto a wire rack to cool completely. 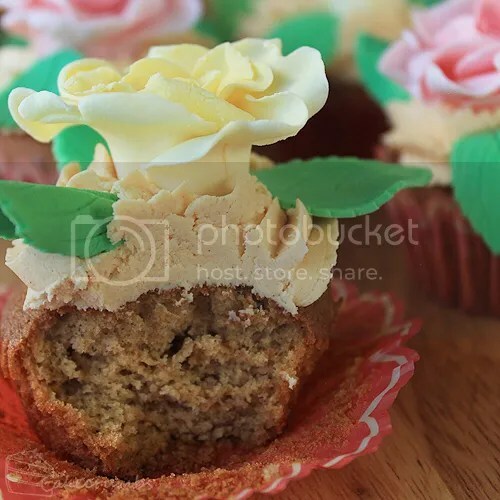 Pipe or spoon buttercream onto the cupcakes. 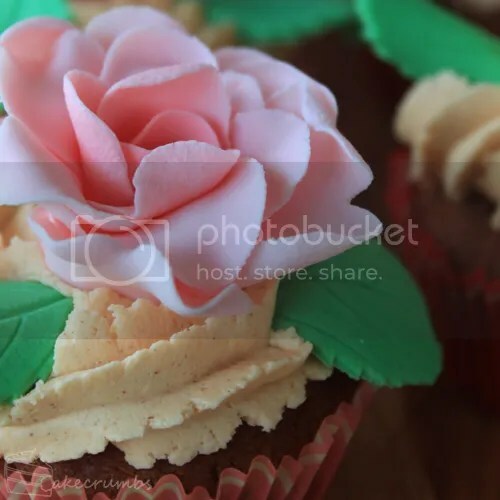 Decorate with sugar roses if desired. Beat butter in a bowl until light and fluffy. Add the icing sugar a little at a time and beat until well incorporated. Beat in milk, orange essence and cinnamon. I love the flowers! And the flavour combination sounds divine! Thank you! 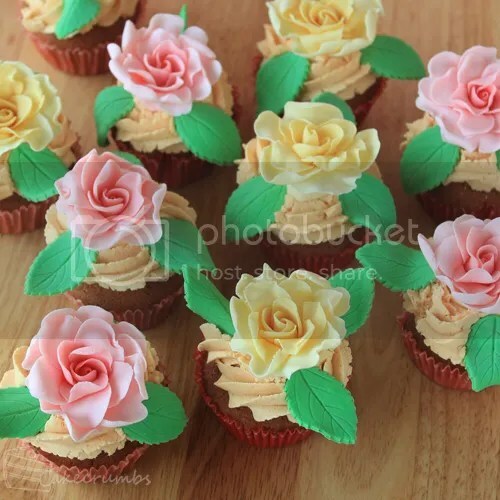 I’m still working on getting the rose technique down pat, but as soon as I do I’ll make a tute! 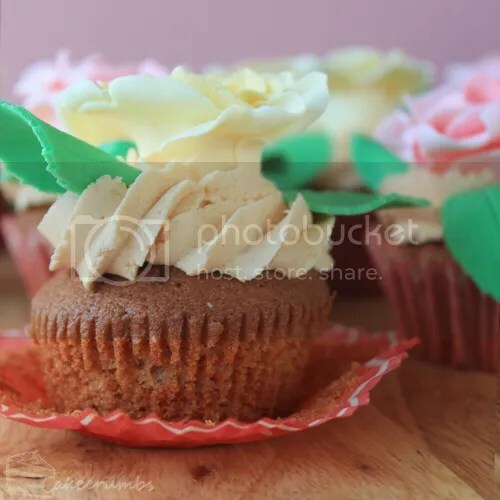 The spice in these cupcakes was delicious!